emily on Steppin into Tomorrow with SNF - First Episode! DJ Solo of the Soul Assassins crew (DJ Muggs, Cypress Hill, GZA, etc) down in LA comes with this uniquely styled mixtape in dubstep circles with transitions of cutting and scratching rather than blending. It fits with the music though cause most of these tunes are intense club riddims that are all about the drop and he cuts straight into it. Different style, give it a listen. Hiphop heads will be familiar. I think it’s damn hype. Blending of mixing styles like this is exactly what happens when people that like different sorts of music get together and vibe over, well, the music. Bigup to DJ Solo & the rest of the crew. As Solo puts it “It’s not the newest, most exclusive tracks, just some hard, bangin beats that get me hype and ready to CRUSH.KILL.DESTROY!“ I gotta agree, strictly heat inside even if some of it is dated, but there are also some Solo blends that spice things up. Excellent selections regardless of age, put this on in your car when you’re heading to the club. Quick mixing on this too with 30 tracks in 50 minutes. Did I mention hype? Check the tracklist below and scope out the crew’s site. Download the mix here. 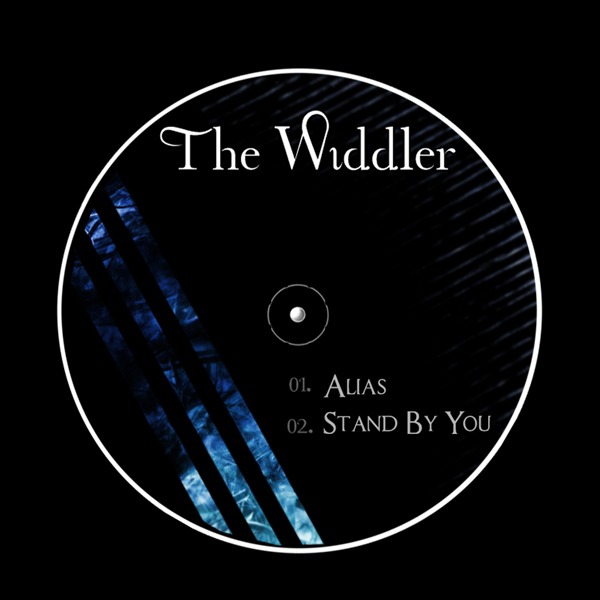 The Widdler from New Jersey comes with another big release, out today on Dubstep Records. Two tunes of a deeper vein which is definitely refreshing to my ears. Loving this sound. Recommended if you like FBOM, VVV, Jus Wan, Synkro, J:Kenzo, and related. Seriously deep sounds on “Alias” with a really shuffly broken beat and a lush lead synth. It’s like Zomby’s bleeps meets Ramadanman’s rhythms. Love this sound, this is seriously danceable. The b-side is for the fans of harder music, with bleeps floating about over a serious 4×4 beat. The percussion is excellent in this one, it feels like it’s going to lift my feet off the floor. Major release here. I’d have to pick the A-side as my favorite just cause I love a chopped up beat, but this release is a win-win. For more Widdler material check out the recent pack of bootlegs he put out on his myspace. Happy to put out the third episode of Dubstepped Radio this weekend - this one’s HUGE! Love the sounds inside. I’d like to subtitle this episode the remix episode because of the number of remixes inside, we’ve got a total of nine from classic rock to drum’n'bass. Everyone gets a taste of the dubstep flavor. I’d like to start off this week with a new episode of dubstepped radio. I’m really excited about this episode, it’s got five styles of dubstep from jazz saxophones to hiphop to wobbly tunes. It’s a pleasure to discuss tunes in a genre as diverse as dubstep, always keeps you on your toes. This episode clocks in at just over 74 minutes with 23 tracks. There’s a bunch of free music associated with this episode: Juju - Young Girl, Mastodon Tricycle - Lead Chips EP, Kid Simple - Ruthless (promo for Seattle Selections), Dumbsteppaz - Southern Fried Dub, and Elucid - My Mayor is a Billionaire plus Laser Days. Get after those, some serious tunes. Next episode should be up early July. 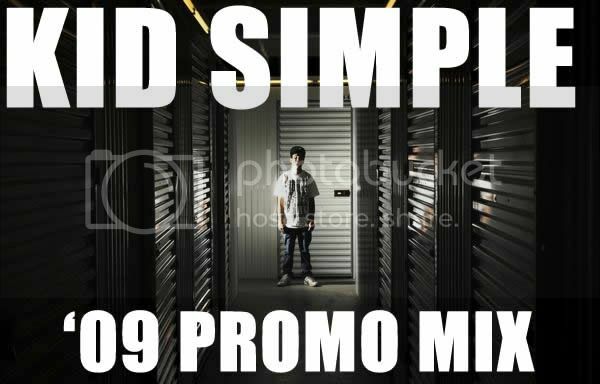 Send promos to snfdubstepped on aim or snf@dubstepped.net and I’ll give ‘em a listen. I’m also open to including guest mixes so if you’re a DJ/producer and want to add your own flavor to the program contact me. Bigup all involved. gWorm from Dallas Fort Worth brings some southern dubstep flavor with this one in a BIG, wobbly mix featuring a bunch of hiphop & dubstep mashups to start off the set. All in all most tunes have vocals, many with hiphop influences. Wobbles are large in this one, you know any mix with Chainsaw Calligraphy in it is serious. If you dunno about that track listen to this mix and get to know. Sam Supa and Kozee once had a ‘filth-off’ at the makeout sessions here in San Francisco and the finale was Chainsaw Calligraphy - there’s simply nowhere to go from there. I’m really feeling this hiphop & dubstep hybrid, but I’ve always been a sucker for the mashups. Beyond that though the selection on this mix is ace and the mixing is excellent. Big respect to gWorm, loving this sound. If you’re feeling this vibe and are interested in similar sounds check out gWorm’s edit of Move If You Wanna and the Totally Unauthorized comp by MRK1 and Chimpo. Out today on dubstep records run by DopeLabs of dubstep.fm is a 15-track comp featuring different sounds of dubstep artists from the US and Canada. Many heavy hitters on this tracklist so I’m just going to pick a few tunes that stood out for me to feature. 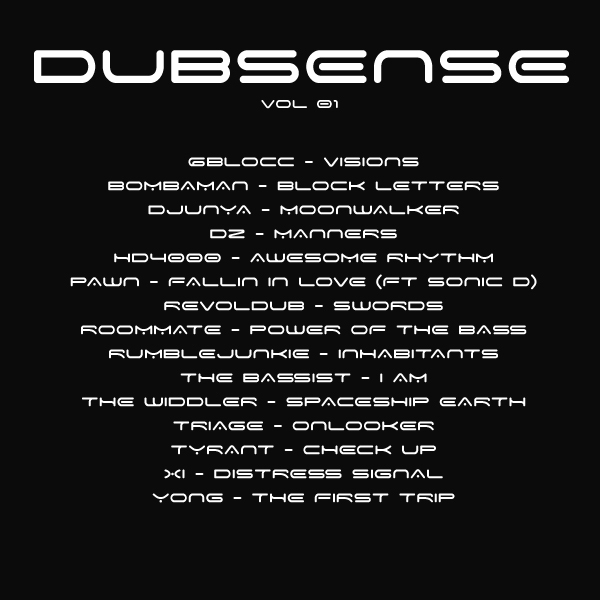 On the whole it’s solid, check out previews of all tracks on dubsteprecords.com. Ric Bakir of Big Up and Dubs Alive also wrote a nice review which you can find here. My favorite on the comp (though the others posted here are close) is this off-key tune from Djunya. It’s reminiscent of recent productions by folks like Starkey, Jamie Vex’d, Dusk & Blackdown, Noah D, and others producing wonky sounding dubstep. Big look. This is a filthy hour of music from Los Angeles residents Violet Gray and DJ A-Tak. Definitely for the dark inclined. Mixing and selection are excellent - respect Violet Gray and A-Tak. Tak was very humble about this mix but it really is quality. Really nice and diverse mix from Kelly Dean out of Costa Mesa (LA), Ca. Tends to err on the garagy side of things, in and out of wobbly, nasty tunes. Definitely feeling the African Herb refix and many more tunes. Big mix.